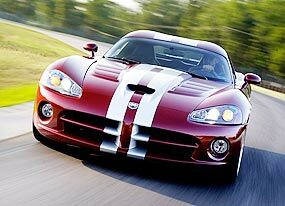 Faster Viper for 2010 - The swan song? With Chrysler Group LLC having lost control of itself in the American auto fall-out, and the reins going to Fiat, there was much written that the new owners would let the Viper die a slow death, but it was hoped that Fiat SpA CEO, Sergio Marchionne, would decide to keep the Viper as an icon for Dodge. Now it seems as if the Viper has been given a reprieve, with the 2010 Dodge Viper SRT 10 ACR having been released at the Los Angeles Auto Show, after setting a few speed records at the Laguna Seca raceway in Monterey, California. Industry sources had said that 2010 would be the last year for the Viper as it will need re-engineering to meet regulation changes being heaped upon the motor industry. In addition, Chrysler tried last year to sell off the Viper division but was unsuccessful. Dodge/Chrysler insiders such as Ralph Gilles, head of design and Dodge car brand is now saying, “We’re going to keep Dodge’s performance icon alive and well by not only producing some of the most special Vipers ever built, but we’re also investigating what the next-generation Viper is going to be.” Referring to the new liaison with Fiat, he said, “When we have partners across the ocean who are known as the best sports car makers in the world, the future opportunities are huge.” This is Fiat SpA’s Ferrari and Maserati brands. Gilles said not to expect Vipers and Ferraris to share underpinnings, but to offer expertise, especially with engines, as a new Viper may revert to a V8, rather than the V10 it has used up till now. Last week I asked an MG history question. What was the difference between the rear suspension on the MG TB as opposed to the MG TC? The correct answer was that the TB had a sliding trunnion rear spring, whilst the TC had the more usual hangers at the rear of the leaf spring. So to this week. 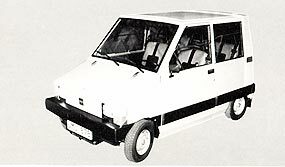 Who made this electric car? The year was 1978. The monthly car enthusiasts meeting will be at Jameson’s Irish Pub on Soi AR next to the Nova Park development. The car (and bike) enthusiasts meet on the second Monday of the month, so this time it is Monday December 14 at Jameson’s at 7 p.m. This is a totally informal meeting of like-minded souls to discuss their pet motoring (and motorcycling) loves and hates. Many interesting debates come from these evenings. Come along and meet guys who have a common interest in cars and bikes, and enjoy the Jameson’s Steak night special, washed down with a few beers. Can Porsche, as we know it, continue? I have the distinct feeling of dread for the continuation of Porsche as a manufacturer with individual excellence after receiving this press release from Volkswagen: Wolfsburg, 24 November 2009 - Prof. Dr. Martin Winterkorn, Chairman of the Board of Management of Volkswagen Aktiengesellschaft, and Hans Dieter Pötsch, Member of the Board of Management of Volkswagen Aktiengesellschaft responsible for “Finance and Controlling”, will join the Board of Management of Porsche Automobil Holding SE effective November 25, 2009. They will exercise these duties in addition to their functions on the Board of Management of Volkswagen Aktiengesellschaft. Prof. Winterkorn will become CEO, Pötsch will assume responsibility as CFO. The conditions for their appointments at Porsche were met when the Supervisory Boards of both companies approved the contracts of implementation relating to the comprehensive agreement on the creation of an integrated automotive group with Porsche. These contracts specify the binding provisions governing the organizational, structural and legal details of the union between the two companies. Approval of the contracts of implementation marks a further important step towards an integrated automotive group with Porsche which is to be completed during the course of 2011. 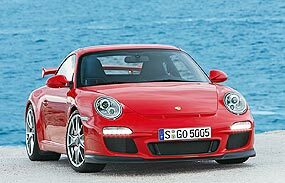 The next milestones are a 49.9 percent participation of Volkswagen in Porsche AG which is planned for realization by the end of 2009, and the Extraordinary General Meeting of Volkswagen AG on December 3, 2009. Sifting through all that, it is apparent that two head honchos from VW are taking up the reins as the governing and “controlling” forces in Porsche. I am also left wondering where the “new, additional openings for growth” are going to be coming from. VW and Porsche do not have a synergy in the marketplace for VW to offer new opportunities to Porsche - unless we end up with a VW with a Porsche badge on it. Last time this was done, was when an “Audi” came out with Porsche badges and was called the Porsche 924. There are still Porsche enthusiasts who refuse to even acknowledge the 924 as a ‘real’ Porsche. Changing fortunes at BMW and Toyota? The world recession has been felt in all quarters of the motor industry, but those who thought that Toyota and BMW were above the financial problems may have to think again. As the world enters the post-recession phase, the marketplace has begun to change and consumers are looking for smaller, more fuel-efficient and cheaper vehicles. Where does that leave BMW, to start with? It certainly has smaller, fuel-efficient vehicles in its 1 Series and the Mini, but they are definitely not bargain basement. It would also be very difficult for BMW to retool and produce a small economy car. Having spent the last decade trying to equate its branding with being up-market, it would appear that it could be caught in a cleft stick over this turn in the marketplace. Toyota is also in a precarious position. Having become the largest auto manufacturer in the world, just as the auto industry slipped into recession, Toyota might have just found that the price of reaching so high globally might have been a little too much. Having staked its reputation and sales on the quick-silver characteristic called “Quality”, it now appears that Toyota has an Achilles heel in that area. Look at these statistics, according to the US press - Toyota has had to recall 4.26 million vehicles to repair accelerator problems, and in 2005, recalled more vehicles (2.38 million) than it sold in the United States that year (2.26 million). Toyota, for the first time since Adam was a small boy, recorded a loss and is still not out of the woods (or should that be the cherry blossom trees?). What must be even more galling, is that Ford is quietly making a profit, and increasing market share. Even Honda is not in as much financial doggy-doo, and that nasty upstart Hyundai is getting top marks in the quality stakes and increasing its market share probably at Toyota’s expense. What has happened with the global financial crisis is that the recession that pushed GM and Chrysler Group LLC into bankruptcy and fueled Ford’s evident resurgence, has also accelerated change in the motor industry. Having emerged from its bankruptcy, suddenly GM is a big player once more. Its labor costs are competitive; its product portfolio is revamped and geared more to customer’s needs and wants, it is doing very well overseas, and it is coming out of debt, to make it a competitor once more. Toyota will need to move swiftly to improve both its image, and its sales. The recent ‘Climategate’ scandal comes as no surprise to those at the Association of British Drivers (ABD). For many years they have been questioning the data on man made global warming because the issue has been used as the main excuse for very heavy motoring taxes, underinvestment in the British road system, restrictions on movement and speed of travel. Climategate is a prime example but is part of a much bigger picture of scandalous abuse and hiding of statistics by government funded bodies. Statistics are frequently hidden or manipulated with government approval to play up certain issues. A leading example is the role of speed in accidents where statistics on accidents caused by all sorts of things are lumped together as ‘speed related’, even when they occur below the speed limit or are caused by drunks or drug users in stolen cars. This is then used as an excuse for draconian enforcement of often unrealistic limits against those travelling at perfectly safe speeds. These limits themselves are set by highly questionable ideas based upon very shaky science again decided by government funded scientists using often hidden and/or manipulated data. Suzuki states that it has committed $200 million towards building their eco compact car in Thailand from 2012. With the manufacturing incentives by the government (finally?) stabilized, Suzuki Motor Corp is now taking advantage of the Thai government tax incentives available under its so-called “eco-car project”. Under the eco-car program, global manufacturers receive cuts of up to 90 percent in import tariffs on components and materials used for producing the vehicles. Specifications include a petrol engine displacement of 1.3 liters or lower (1.4 for diesel), compliance with the Euro 4 emissions standard, maximum CO2 emissions of 120 g/km, and maximum fuel consumption of 5 L/100 km. The Thai government also offers a corporate tax exemption for at least five years if annual production volume of cars under the program reaches 100,000 within the first five years of operations. Suzuki announced last week that it would commit $200 million to the construction of a new plant in Rayong province, with production of a still-to-be-specified 1.3 liter compact car to begin in March 2012. Suzuki expects to build 10,000 cars by the end of that first year. 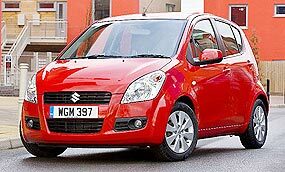 The most likely candidate for production at the Thai plant is the Suzuki Splash, a five-door, five-seat hatch slightly larger than the Indian-built, four-seat Alto. Splash is currently produced in Hungary, and demand for the model in Europe has taken all the production, consequently the idea of getting a government assistance to build another Splash plant makes much sense. The new plant could allow Suzuki to export vehicles from Thailand to places such as Australia as Thailand also has the free-trade agreement in place with Australia, which makes Thai-built cars a better financial proposition than those from Japan or India.